Welcome To LT Resources Inc.
e-mail LT Resources as shown below. American TieTek's Engineered Composite Cross Ties, Switch Ties and Bridge Ties to meet or exceed AREMA Standards will help solve your most difficult track problems and last up to 50 years in track. Built to last, TieTek® Ties are manufactured using a patented manufacturing technology and proprietary formulation that together provide superior strength, impact and crack resistance, durability, and requires no maintenance. 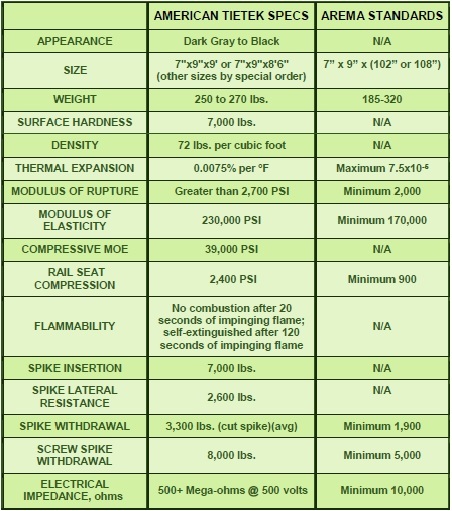 American TieTek ties meet or exceed all technical properties recommended by AREMA Committee 30 for Polymer Composite Ties. TieTek® Ties are recommended for use in severe environments or in any application to extend tie life. 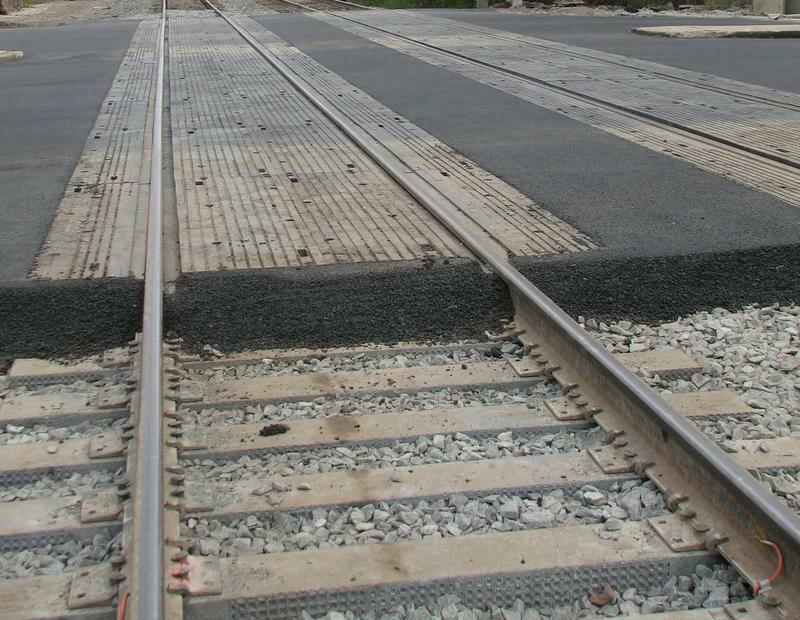 Engineered Composite Ties can be used with ENDURANCE®-XL and ENDURANCE®-XL PLUS Highway-Rail Grade Crossings to extend the life of the crossing ("Composite Bundle").